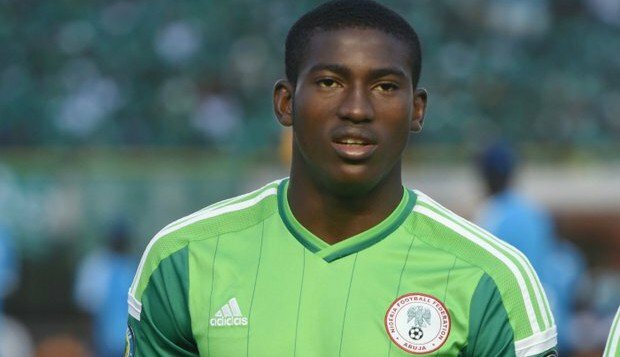 Popular Nigeria under 20 football star, Taiwo Awoniyi has revealed that he is very happy and quite excited that he is committing himself to a long-term future at Liverpool, after agreeing a new deal on Tuesday. The new contract extension he just signed is believed to be a five-year deal with improved wages. It comes on the back of Awoniyi’s exploits last season, while on loan at Belgian top-flight outfit, Royal Excel Mouscron. Awoniyi scored 10 times, including two goals to help Mouscron qualify for a Europa League play-off spot. “I feel excited and I feel very happy. “It has been three years since I first came to Liverpool. So far, so good. The last year was the best for me; it has been an amazing year so far. “I just have to keep working hard each year and I believe one day the dream will come true. “Thanks to my family, who have been so supportive. I’m very glad and excited about this contract and hopefully to have an even better year,” he told Liverpool’s official website. Awoniyi joined the Reds from Imperial Soccer Academy in 2015 and, prior to 2017-18 season, was sent on loan twice at FSV Frankfurt and NEC Nijmegen.